The grotesque-looking and totally un-user-friendly ‘experience’ that is Rate Your Music somehow manages to draw many a fan in from around the globe, all contributing to a massive database of reviews, descriptions and liner notes for pretty much every album ever. 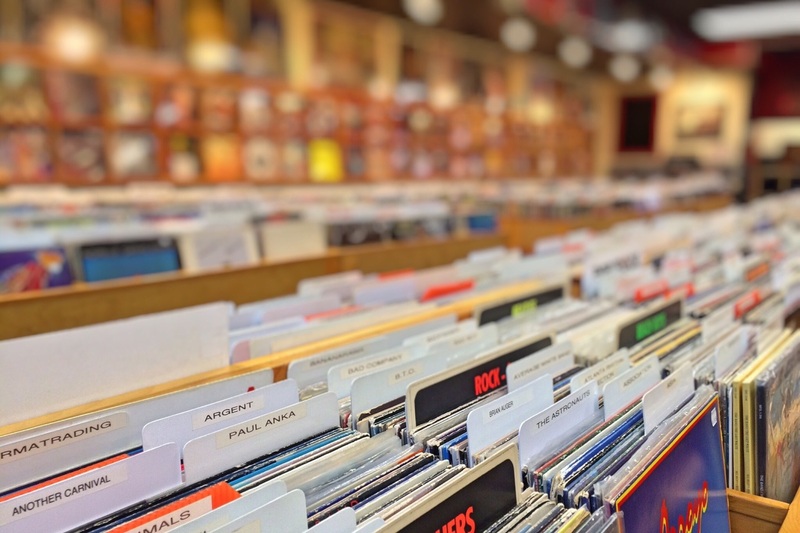 The community’s quest to define, sort and categorise every last track from every last record has led to a dense series of genre ‘tags’ that help and hinder listeners in finding out exactly what they should try next. Here, I venture forth into the weird and wonderful album I have discovered via their beguiling tags – each more bizarre than the last. Holly Herndon fits into a similar niche as many other of the eclectic experimental producers we have been treated to as of late –the bewildering SOPHIE or enigmatic Arca spring to mind as perhaps her closest contemporaries. But Herndon carves out a niche within a niche, using samples, ‘found’ sound and layers upon layers of vocal manipulation to produce music that sounds like art. Snippets of breathy vocals ebb and flow, clashing into the dissonant and atonal warblings of mechanical synthesisers and noisy percussion. Platform is an album that observes the barriers between human and machine, slurring them together into a unified, peculiar entity. Sunbather was an album so defiant of norms it practically carved out a genre all of its own. The melding of shoegaze and black metal was dubbed ‘blackgaze’, a genre characterised by its crushing lows and its shimmering highs. Deafheaven have avoided getting totally defined by this initial act of rampant experimentation – following the album with the more straightforwardly black-metal New Bermuda, but always tinge their music with the unconventional whenever possible. Towering, brutal, and yet strangely gorgeous, Sunbather is an album whose conflated genres draw in curious audiences from various different scenes, gathering them under the peach-sun glow that adorns its cover. ‘Slowcore’ is music to enter ‘the big sad’ to, and Low’s Double Negative, their 11th album in their 25-year career, does this in a more upsetting and outwardly abrasive manner than ever before. ‘Quorum’, the album’s opener, sounds as though it is breaking apart in slow motion – Alan Sparhawk’s gentle vocals rippling and dissolving into walls of static. The elements of folk that weave their way into the roots of Low’s music are what anchors the chaos present on Double Negative – providing moments of beautiful clarity under oceans of noise. Speaking of music that sounds like it’s falling apart, why not listen to music that is actually falling apart. William Baskinski’s career-defining The Disintegration Loops was created (as the best things are) almost by accident, after the artist-turned-composer played some rather crusty old recordings on a reel-to-reel tape player. Every time the needle hit the tape, tiny fragments would fall off – and the slow destruction of this sound is what led to the creation of The Disintegration Loops – a near hour-long track of music being destroyed in real time. One of the most otherworldly, relaxing and oddly emotive experiences one can listen to, the album almost defies classification, hence the rather minimal tags used to describe it, and the hushed reverence in which it is discussed. ‘Plunderphonics’ was pretty much dominated by Australia’s The Avalanches after their 2000 debut, Since I Left You. The record relies on endless hours of crate digging – the texture of the record constructed from samples taken and patched together into tracks that are greater than the sum of their parts – a tapestry of found sound that is so vibrant and immediate it demands your attention. This concept was taken to its extreme, however, by Baltimore’s Matmos – a pair of musicians who decided it would be a great idea to create an entire album using only a washing machine. Ultimate Care II (borrowing its namesake from the ‘instrument’ used to create it) is 9 tracks of… well… something. It’s so, so bizarre – fusing elements of plunderphonics, glitch and electroacoustic music to create one of the strangest listening experiences one can find. Supposedly, after the album was released, the band let the machine destroy itself by placing a brick inside it and hitting ‘go’. Artists are weird.